Is your kid finding difficulty to access water while on outdoor activity? In today’s hectic world, with kids taking part in more number of activities being away from home, it is necessary that they find easy access to keep hydration every time. Holding a personal water bottle can really mean the difference between fighting fatigue and quenching a mean thirst. Few popular water bottles for kids that are known to perform better than others are reviewed here and gained recognition from people. The best water bottles for kids are tested for tendency to leak, ease of use, eco-health features and more. While majority of the kids water bottles get the job done, it all relies on the individual choice when it comes to making buying decision. 1.14 Do you wonder what could be best choice of water bottle while there is more sold out there on the market? 1.15 Do you look for a compact and sturdy water bottle for your kid? CamelBak edds kits water bottle scores highest among the preferable choices for kid’s water bottle. The design of this water bottle allows kids to find it easier to drink from, having an open mouthpiece that enables for free liquid flow. The bottle is well contoured and also best enough for little hands to hold easily. It is featured with a bottom that can suit most of the cup holders. Your kid will absolutely like this water bottle as it has fun graphics drawn around the bottle. Moreover, it also has a spill-resist design, which makes it a more suitable choice for young kids. Big bite valve and redesigned cap allows for faster flow of water. Your kid just needs to bite and sip and the beverage will pass through the valve. The size of the sports bottles for kids also makes it simple for placing inside lunch boxes and bags. The parts are easily removable and safer to be used by the kids. Every parent would like to assure that their kids’ environment is as healthier as possible. It seems that Klean Kanteen realized this fact very well as it helps such parents with their sippy spout-featured kid canteen. 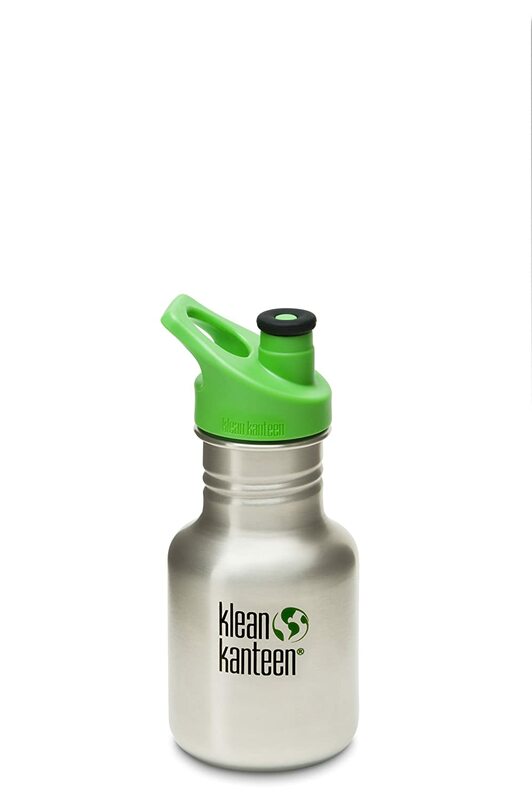 The Klean Kanteen is a 12oz bottle that is produced out of high quality and 100% recyclable food grade stainless steel. It is design specifically for small hands, assuring it easy to hold. The large mouth facilitates easy cleaning feature. The sippy cap of Klean Kanteen is spill proof. The dust cap tends to keep the right parts tidy if you are out. If your child is grown from the sippy bottle stage just replace this sippy cap with Klean Kanteen sports cap and you will also find the suitable sized drink bottle for little hands and lunch boxes. You need not have to bother about spilling while having striker around. Whether your kid is sitting in the couch, at the table or in the car, striker is intended to avoid the accidental spills. The manufacturer of this incredible kids’ water bottle designed the straw that is featured with spill-proof valve to eliminate the leaks and spills if the spout is in open position. Hence, go ahead and allow them drink in their comfortable position, while watching TV or doing some other activity. With this more functional kids’ water bottle, it becomes easier for parents and on-the-go kids to travel free of spill. It is a 14 oz water bottle that is equipped one-touch lid which pops-up for simple one-handed drinking with the straw. The spill-proof valve along with autospout avoids leaks and the other troubles that come out of spills. The kids plastic water bottle is the must-have accessories to offer kids with an appropriate source of hydration. There can be myriad choices when it comes to determining a suitable water bottle for your kid. But, nothing could ever replace the charm and the quality of having Nalgene Tritan BPA-free water bottle. It is sized exclusively for small hands, thus your little ones can easily drink on their very own bottle. The Nalgebe Grip n Gulp is leak-proof, odor resistant and tough. The bottle is specially indented at the sides to allow easy gripping and it comes with plastic mouthpiece and rubberized lid to avoid spills. The body of the bottle is made of Tritan TM copolyester that is produced free of BPA. This lid is featured with removable sipper valve and its parts are dishwasher safe. It also features lid loop, which can be clipped to a stroller or backpack. Designed for convenience and simple to carry, outdoors and indoors, this exotic water bottle is loaded with myriad range of features that are sure to admire you just by having a single glimpse. It is absolutely a next generation bottle that is designed by swirls of shapes, while encasing the plastic bottle safely. 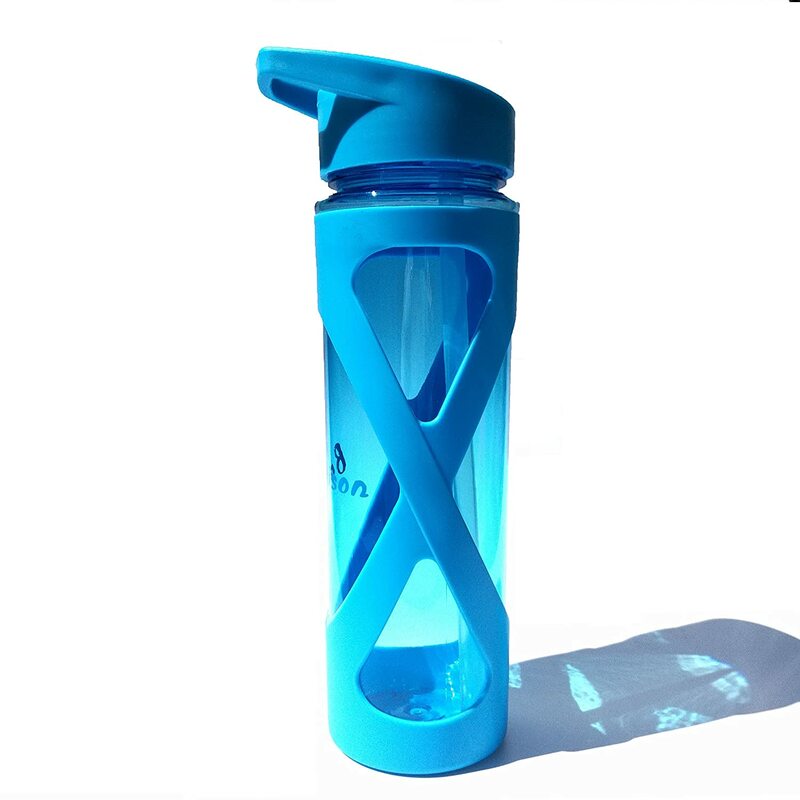 It is a transparent colors water bottle with matching lid and hard solid cased shell. It is suitable for use by kids, adults, teens and college students. For adults, this plastic drinking water bottle will spruce up the interest in their yoga class. They can carry it to gym and easily place on the bottle holders of treadmills and elliptical machines. Teens and young adults alike will surely enjoy carrying it to schools for outdoor activities, running, camping and sports. This water bottle also forms a perfect healthy option to develop good habit of taking enough water with nutrient and nice taste from fruit. Proper hydration tends to play a crucial role in a healthy lifestyle. 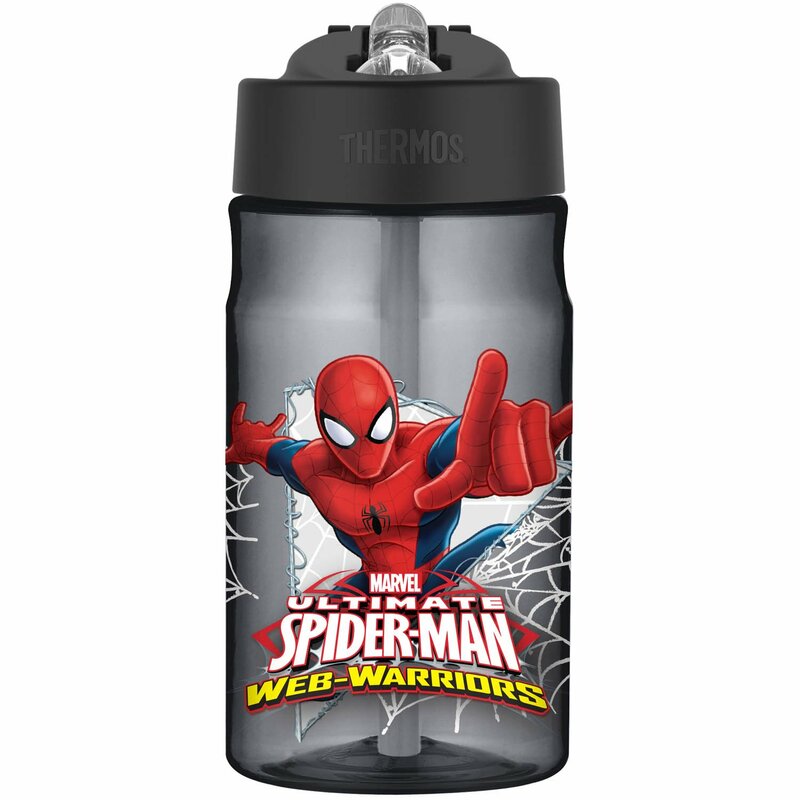 This 12 oz bottle from an authentic Thermos brand is considered as a best product to meet any sort of on-the-go hydration requirements. Made of durable stainless steel material and vacuum insulation, this insulated bottle will keep the beverage cold for about twelve hours. It is equipped with an integrated carrying loop along with hygienic push button lid that features pop-up straw, which is easy to open and convenient to drink from. The perfect size of the bottle makes it fit for use on any backpack or lunch kit. It must be notified that this water bottle is not allowed for use with hot beverages that could result in burns. It is also recommended not use this bottle for storing carbonated beverages. Kids in three years or above are perfect to use this water bottle. Kids must stay hydrated at school or while playing game. This can be achieved by using proper leak-proof and small water bottles for kids. 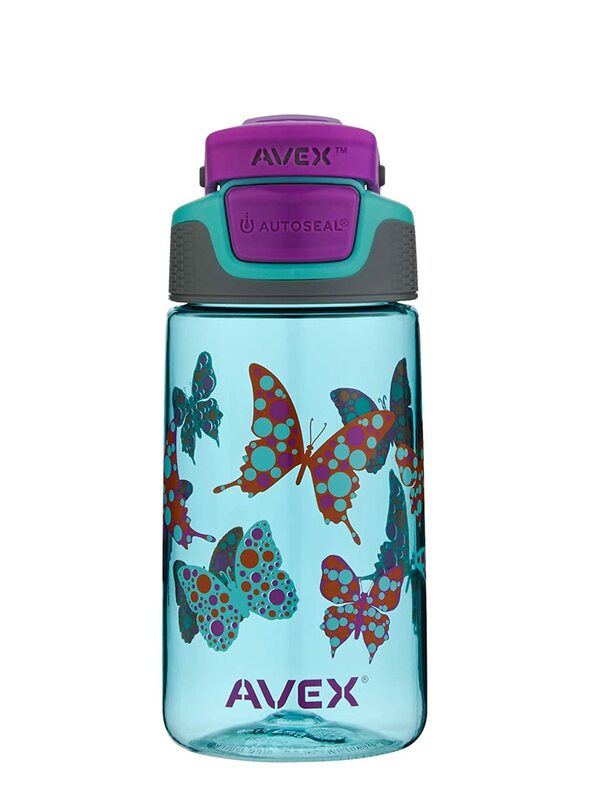 This Avex auto seal water bottle is perfect for those children who wish to express themselves when keeping hydrated during the course of big sports game. The reliable workmanship and quality materials make this water bottle an ideal product for kids. This kids’ specific water bottle is designed exclusively for kids who are aged three years and more. 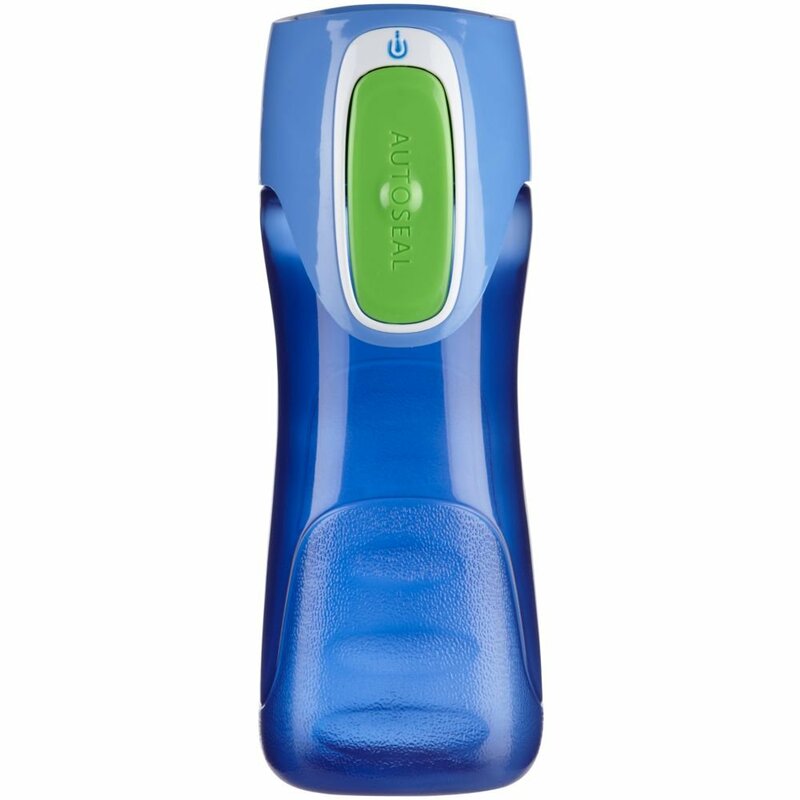 It is great to use this kids’ water bottle at school, in the home and while playing sports. It is more likely for water bottles, especially those that are used by kids to easily catch up dust and dirt. As this product is equipped with a feature of integrated spout shield, dirt, dust and other harmful particles can be kept apart to ensure kids’ safety. There is an ergonomic clip-on grip is attached to backpacks and other similar gears. This water bottle is more rugged, withstands possible damages and guarantees to last long. This camelback school water bottle is available in kid-friendly sizes that are suitable for lunchboxes and backpacks. This is not just an easy-to-clean, spill-proof bottle, but also features some funny prints on it to make kids feel pleasure having in on-the-go. Water makes kids remain focused and hydrated all through the school day and this bottle makes it simple to allow hydration on-hand. This water bottle is really praised by its buyers to be amazing as it keeps water cold for pretty long time. 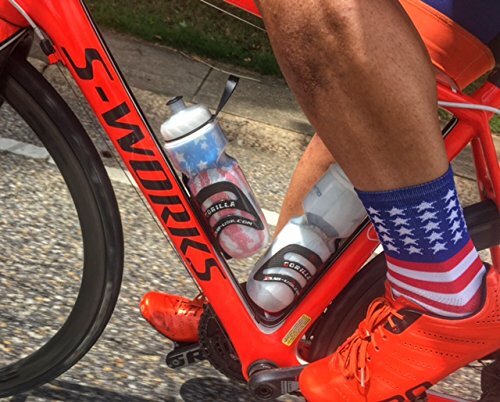 The camelback Podium big chill insulated bottle makes use of double-walled construction to keep the bottle cold even long after you start pedaling. The self-sealing, innovative jet valve avoids spills and splatters. It is an easy-squeeze and lightweight bottle that renders the right flow of water to quench your thirst instantly. The nozzle is removable to ensure easy cleaning. The cool water bottles for kids is also featured with wide mouth opening that makes it simple to fill with water and ice and breeze to clean. Drinking water has a myriad of health benefits; however it is not always comfortable to carry with you. This eco-friendly water bottle is lightweight and easy to be carried, thus you can always have a drink ready anytime you want one. You need not have to depend on disposable bottles, which end up in unwanted landfills. This bottle is developed out of durable plastic that you can use again over and over. When it very hot outside, its wide openings will easily accommodate ice cubes so that water remains cold and easy to be cleaned as well. The reusable water bottles for kids from Zak are available in a wide array of colors and designs. The lids are leak-proof and come with additional features like flip-up caps, pull-up spouts and more. No matter how you want to drink, the Zak water bottle designs always have functional and attractive features to suit your taste. This water bottle will serve as a great on-the-go companion for little kids who have outgrown sippy cups yet not spilling. Featuring single touch autoseal lid, it automatically gets sealed between sips for trouble-free drinking. In addition, it is more convenient for smaller hands to hold the bottle, thus it is perfect to have it while trekking. You will really find this product to be the most reliable in the market among other sports kids water bottle. Made of eco-friendly material, you can avail hours of cool refreshments, with removable parts to clean and assemble back and it just requires bottle brush to assure proper cleaning. It is really a standout product apart from being easier to drink from, eco-healthy and easy to clean. The size of these reusable water bottles for kids indicate that the kids can take more water for hydration during longer trips or greater adventures from home. 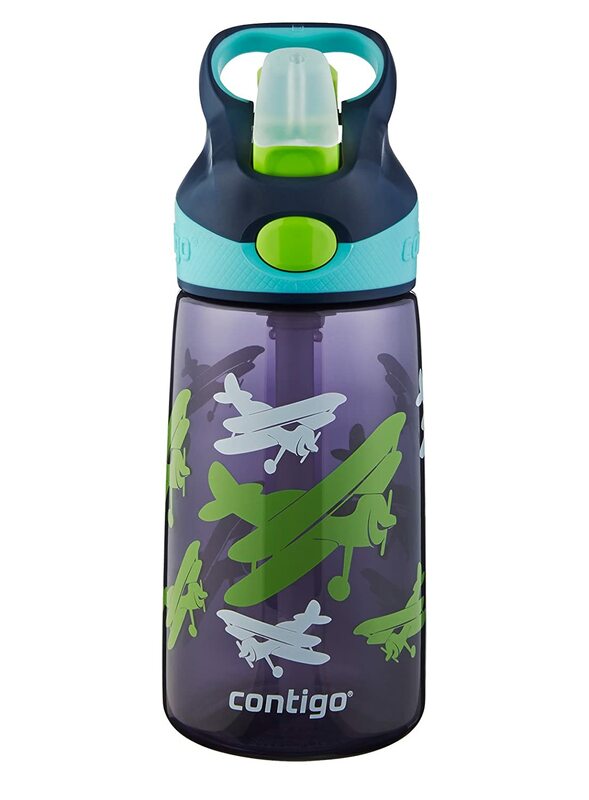 Featuring the patented CamelBak Big Bite valve along with shut-off and stem tube valve, this removable single piece bottle is easy for kids to use and also simple for parents to get done with cleaning. The simplified straw and stem are child-safe and yet effortless to remove for cleaning. The parts of these cheap water bottles for kids are also dishwasher-safe and it is not recommended to use by children who are below three years. This taste-free and stain-resistant water bottle is 100% free of BPA. Easy, fun and kid-sized, this bottle is perfect for use during adventure. The CamelBak eddy drink bottles are reusable kids’ water bottle that comes with a straw. It also features no-spill system and built of taste-resistant and strain-resistant Eastman Tritan that is BPA-free. It is exactly what you have been looking for your child. It is an insulated water bottle produced specially for kids. The bottle makes use of insulation technology that will allow your kid to keep water colder the whole day. This polar kid’s bottle is featured with a specially designed top to facilitate easy drinking by means of the easy-sip straw. It will suit perfectly in your kids’ lunch bag. It also features a convenient carrying loop. Majority of the kids sports water bottles come with straw as well as sport type spouts same as that of adult bottles. To achieve cooling for further long time, you can consider getting this insulated water bottle and keep it in the refrigerator prior usage. The wider mouth part of this insulated bottle better accommodate ice cubes, which also makes it simple to clean. Additional thermal protection is possible. It is no doubt that water bottle has become a crucial part of our daily life. Especially, when it comes to packing water bottle for your kid, you must realize the importance of choosing the quality bottle. Have a look at the 12 oz kids reusable water bottle to make your kid chill out. The cooling water remains cool double the time in this double-walled insulated bottle than it does in other single-walled bottle. There is a reflective foil layer in between the double walls that reflects the rays of sun for additional amount of insulation. To avail the best results, it is better to fill the bottle up partially to three fourth of water and then freeze it for overnight. Fill it up with more water while your kid is about to start for your school. 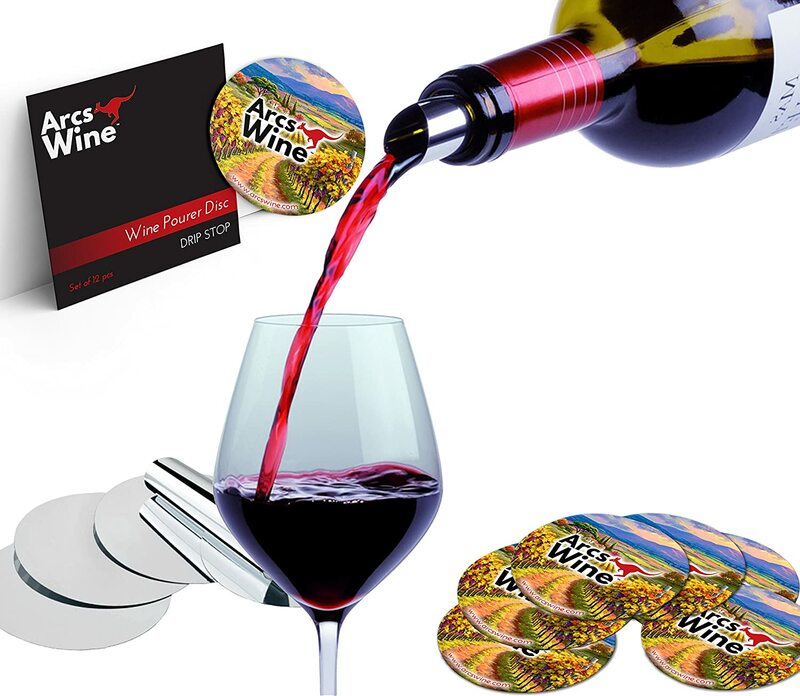 It is easy to remove the drinking cap to allow for deeper cleaning. There are many special features to discuss about this bottle. It excellent combines the thermal characteristics of insulated vacuum bottle with the other flexible and lightweight features of plastic bottle. By means of the three insulated layers, this incredible water bottle will hold liquids twice longer than that of traditional water bottles. Do you wonder what could be best choice of water bottle while there is more sold out there on the market? It is absolutely difficult to determine the suitable water bottle that meets your kid’s requirements. You pack water bottle for your kid for many reasons. It is heard from parents about what they consider to be more important when choosing the desired water bottles for their little ones. They emphasize choosing water bottles that have undergone testing for being safe and for being free of PVC, BPA, phthalates and lead. The other common features that they look forward for includes leak-proof, insulated, sport-top or straw-top, high grade stainless steel material and dishwasher safe. They also look for Kids Plastic water bottle that are perfect for lunch box. Lightweight, leak-proof and compact are significant features for any water bottle that is packed within the lunchbox. Choosing a reusable bottle is also regarded as a sustainable alternative to disposable, single-serve bottles and juice boxes. Do you look for a compact and sturdy water bottle for your kid? Perfect for all little boys and girls, there are best quality light weight and tough bottles to pick from. These bottles are durable and practical enough to cater to the way of use by the kids. Every child needs to carry a perfect water bottle, whether it is to school or some other place. The exciting designs and bright colors on the bottles will brighten up the kids’ day, regardless of whether it is a dynamic sunny sports or drizzly Monday morning. All the sports water bottles for kids come featured with easily accessible sports cap for simple use, including no easily removable parts to make sure that any small accidents are avoided. This article dug through the details of popular water bottles for kids that have the most useful features. This could be of huge helpful in choosing the right water bottle for your little kid. The features of these water bottles for kids online are absolutely incredible that will never let you down once you start using them. The number of models of kids’ water bottles would seem endless and at quick glimpse, it might be difficult to cite out the difference between all them. Look deep into the features, make and uses of each of the product listed above to end up choosing the one that exactly meets your expectations. Hopefully, these details along with the glimpse of features on the reusable water bottles for kids found on the market now has left you well informed and aware of making the right buying decision when you are exposed to the world of water bottles. All the water bottles are enriched with the features that you would probably want for your hydration needs along with other safety regulations. Next articleBuy Bottle Brush cleaning set at an economical price from the list framed for you.